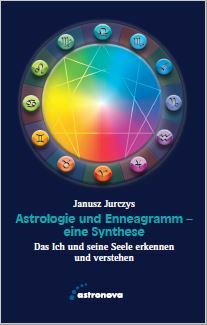 Enneagram & Astrology - enneagramm-astrologies Webseite! There is a framework for the Enneagram of the Will and the Astrology of the Personality. You can not overlay the two, but they complement each other. We can use the Astrology as an transformational tool in which case it differs from a descriptive one. There are 4 levels of experience of our ordinary life. From a different angle there are 3 centers of initiative. They are symbolised in 12 houses of the chart. The formative apparatus in the chart and the roll of the planets. We live our deeper Selves when we are conscious and creative. Otherwise we project our potential on others and fate, unconsciously creating a subjective world - that we mistake for a really existing world outside. If we look at our psyche close enough, we find not only our Enneatype or our Tritype but the entire Ennea-Structure: three times three. The three Tritypes are distributed through the three layers of the Selfhood. The Tritype already known and developed by Katherine and David Fauvre is the first and the most obvious one. The Transformation of the self means integrating all Enneatypes. It becomes more and more obvious that we cannot understand the Enneatypes deeply without recognizing the Subtypes. There is a difference between the Will and the Energy. Why are we – human beings – so different? Why can´t any system grasp the individual peculiarities of a person? Why are the same Enneatypes so different - and you yourself can find your style in more than one? It´s not difficult to understand.